Sometimes you just need an axe. Not a specialized felling axe, or limbing axe, or splitting maul – just a good old-fashioned swinging axe. 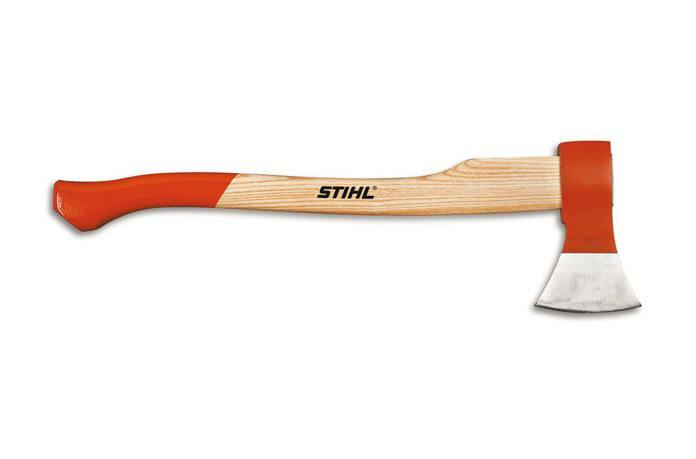 Meet the STIHL Woodcutter Universal Forestry Axe. It is excellent for felling, light duty splitting, limbing and other forestry work. The handle is crafted from high-quality ash wood and the head is well balanced for a variety of cutting applications. It’s the axe of all trades you’ve been looking for.